Did you overdo it a bit at your Super Bowl party? Shh I won’t tell! 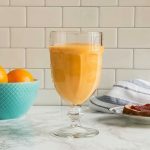 😉 Get back on track with this Orange Mango Sunshine Smoothie for breakfast or a quick snack! This smoothie is chock full of goodness to support your immune system, because even though it feels like spring this week, Old Man Winter is persistent and will return with a vengeance! 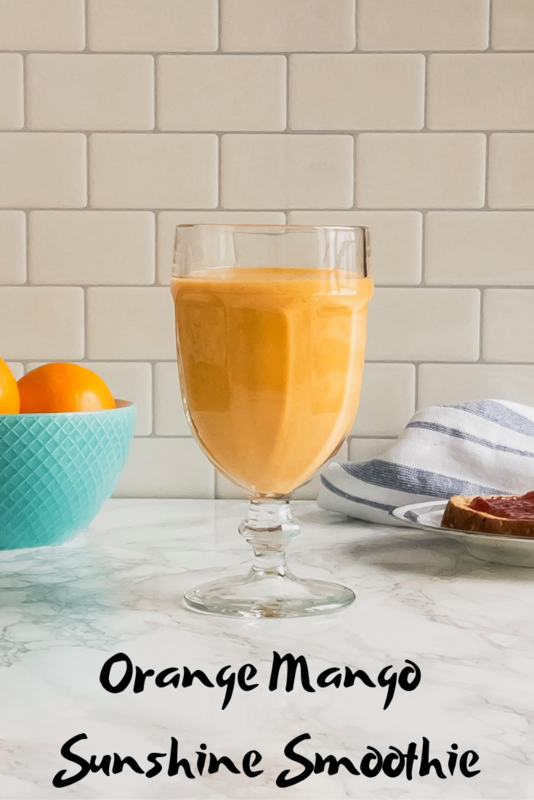 You’ll love the bright color and bold orange and ginger flavor, with mango sweetness, while your body will love all the antioxidants and vitamins packed into it! Ginger has, in fact, been used for centuries to boost the immune system and aid digestion. Plus with a little protein, you’ll be ready to conquer the world! Or at least your day. So pull out that blender collecting dust and give it a try. Also, check out this video to learn how to easily separate your orange segments from the membranes (optional for this recipe, but makes the texture better – especially if you don’t have a high speed blender). This velvety smoothie is a great way to start your day chock full of nutrition and flavor. 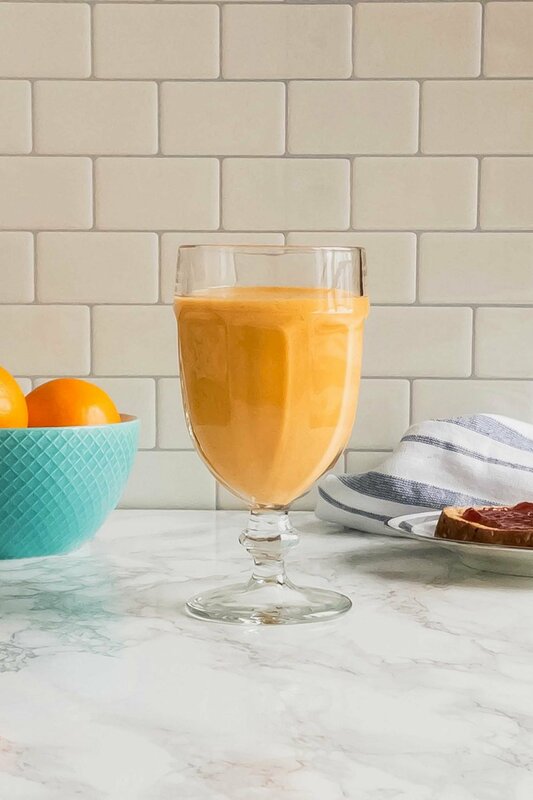 Using a high-speed blender like a Vitamix will give you the best results, but if you don’t have one you might use a steamed carrot instead of raw. Garnish with a sprinkle of cinnamon if desired.